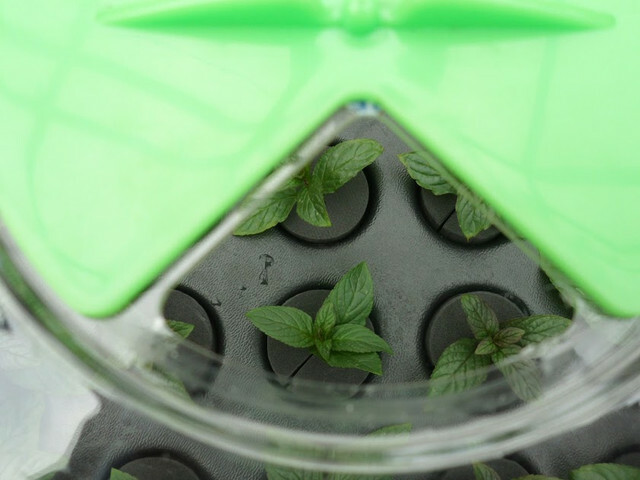 When establishing a grow room, there are several factors affecting the environment for hydroponic growing in addition to ensuring the pH levels are stable. The quality and the quantity of crops improve according to the accurate control of the environment. Both the yield and the growth of plants can be affected by the slightest change, which makes it even more vital for growers to keep the following factors in mind. Temperature is extremely important for a great grow room environment, controlling both the air quality and the humidity. Adding or removing heat at specific times in a grow room helps to control the temperature, which is easily achieved through heating and cooling solutions. A grow room heater will help to keep a uniform temperature, achievable with an adequate air flow. A fan controller will automatically control and adjust fan speed by scanning the environment every seconds. The controller slows down the fan to a minimum set temperature when the desired temperature is reached. Relative Humidity (RH). The ratio of actual water vapour content in regards to saturated water vapour content, relating to the pressure and temperature represented as percentage. Transpiration. Relates to the rate at which plants expel and absorb moisture to cool down, alongside allowing for a flow of nutrients, minerals, and water. Stomata. Plants have stomata that help them control moisture levels and protect from dramatic moisture changes. The right humidity levels for plants’ growth stages will ensure that stomata open completely and that plants can control water loss while having a fresh supply of CO2. A hygrometer is the ideal solution to control both temperature and humidity levels in grow rooms, allowing for accurate monitoring of the conditions. When the lights are off in the grow room, the temperature will decrease and the relative humidity will increase. Heaters are essential to ensure the temperature doesn’t drop too drastically so that water doesn’t deposit on either the plants or the walls. This provides the perfect breeding ground for pathogens. Should the humidity be too low in the grow room, plants transpire too quickly and the leaves will begin to wilt. The stomata will be closed over time and the water flow out of the plant will decrease. While effective to reduce water loss in plants, this also reduces the CO2 levels and can cause plant cells to die. Ensuring the proper air quality of a grow room is essential so that plants are clean, safe, and free from any harmful bacteria. UV air purification helps to protect plants from moulds, mildews, and spores. An LEP grow light, or Light Emitting Plasma, has durable electrodes that ensure it lasts five times more than High Density Discharge (HID) lights. Available in both supplemental and grow phase spectrums, it provides plants with sun-like natural illumination. LEP lights can be used alongside High pressure Sodium (HPS) and Metal Halide (MH) to compensate for their lack of blue light and provide a higher quality of light spectrum. Used alone during the growth phase, LEP lights provide faster and better growth, and with HPS lights during the bloom phase, they improve yield size and quality. Keeping grow rooms’ environment adequately balanced required high-quality equipment. Contact us to know more about our products - we’re always happy to help.